It’s 75 years since the start of the Soviet counteroffensive at Stalingrad. At the beginning of the battle for the city, Soviet troops appeared to face imminent defeat, unable to resist the Nazi German onslaught. However, the Red Army turned the tide into a victory that changed the course of the war. Russia Beyond looks back at those traumatic events through the recollections of those who experienced it. The Germans launched their offensive at the city that bore the Soviet leader’s name in the middle of July 1942. The fall of Stalingrad would have given Hitler access to much needed Caucasian and Caspian oil and would have had disastrous strategic consequences for the USSR. The fight for the city began after a devastating bombardment on Aug. 23 and went on for two months until the Red Army’s counteroffensive. “Massive aerial bombardment. In two hours the city is demolished. Smoke, lack of air, the glow of fires… Everything is burning, even the bricks. We were shooting at enemy planes even from our rifles. It is hell here, sheer hell on Earth!” Marina Krasnykh from anti-aircraft artillery regiments wrote in her diary. “Houses are burning. Buildings, palaces of culture, schools, institutes, theaters and different offices are crumbling down. The city has turned into sheer hell… Bombs continue falling down from the sky darkened by smoke. The central part of the city is immersed in an unimaginably huge fire. Because of the high temperatures unusually strong wind started, that fed the flames. Now, it seems, everything is on fire: the sky and all the space from one horizon to another”, Alexey Chuyanov, the head of the Party organization in Stalingrad, described what he saw during the hours of the bombardment. It is thought the temperature in the center of the city center reached 1,000 degrees Celsius. By then it had been the biggest bombing by the Luftwaffe in WWII with more than 2,000 sorties. Stalingrad was razed to the ground. Nobody knows how many residents were killed, estimates range from 40,000 to 90,000. Historians say the Germans aimed to make the city’s defense impossible, to ruin its industrial potential and instill fear in its defenders. Something similar was done by the Allies to Hamburg, Dresden, and Tokyo. 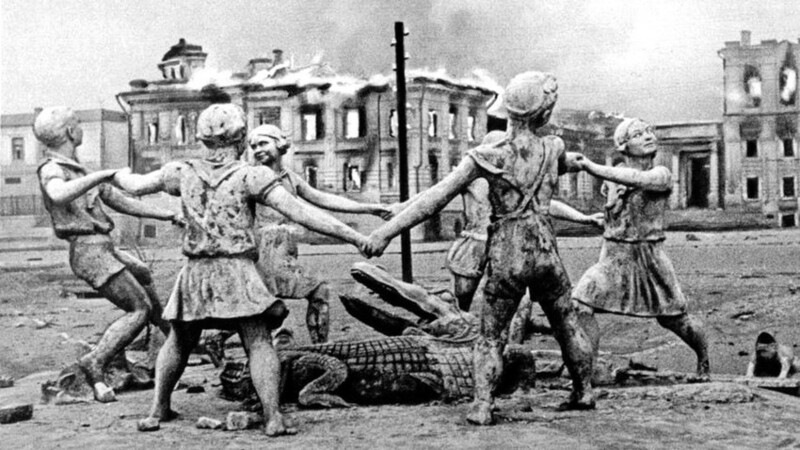 Unlike those cities, Stalingrad managed to continue to resist. “On October 3, the enemy started to attack our building. It tried to take it at any cost since the building was a key to the Volga River in this place. Every day we had to resist several ferocious attacks. For two months of the house’s defense 24 people took part in it, but at one time there were not more than 15 people present. And we liquidated many Hitlerites”, one of the building’s defenders Ivan Afanasyev wrote describing their ordeal. 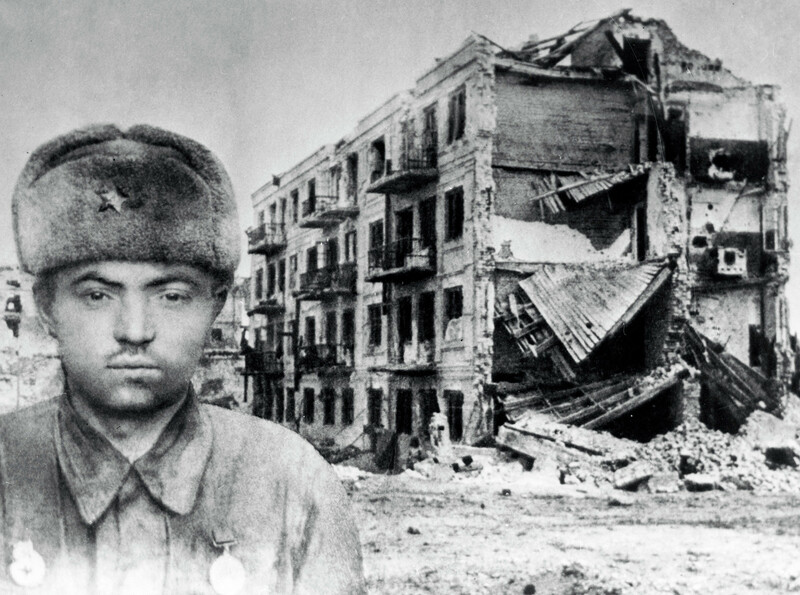 One of the commanding generals of the Soviet forces in Stalingrad, Vasily Chuikov, later pointed out in his memoirs that the Germans lost more men trying to take Pavlov's House than they did taking Paris. “We, a handful of fighters, were showered with bombs by fascist planes, were attacked by enemy tanks, ruthlessly shelled by German artillery and mortars. Firing from machine-guns and automatic rifles did not stop for a minute. We lacked ammunition, food, water. There was no air because of shells exploding,” Sergeant Yakov Pavlov, whose name got attached to the building, recalled later. They say that on the maps belonging to the commander of the German forces in Stalingrad Field Marshal Paulus, Pavlov’s House was designated a fortress. 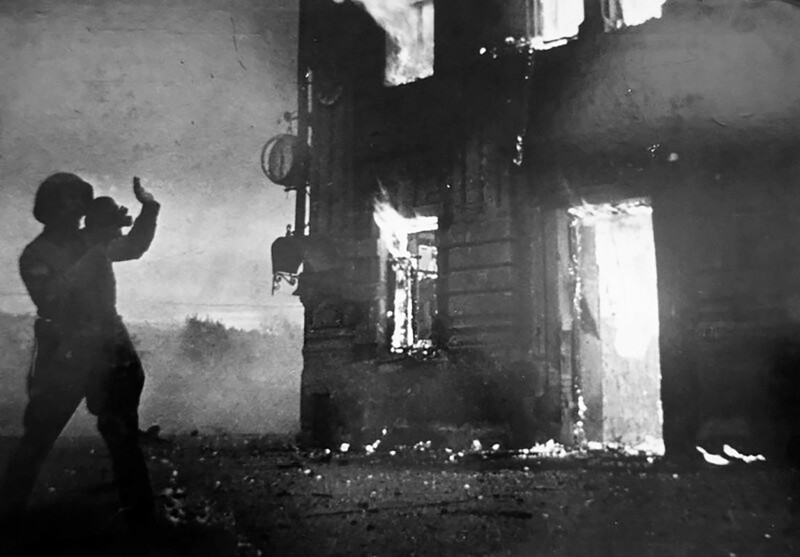 Before the war, Pavlov’s House was an ordinary four-story apartment building and became a symbol of stiff resistance by the Red Army soldiers in Stalingrad. “I have not eaten from yesterday. I only drank coffee. I am absolutely desperate. God, how long will this last? The wounded soldiers are with us. We cannot get them away. We are surrounded. Stalingrad is hell. We boil the meat of dead horses. There is no salt. Many people contracted dysentery. How awful life is! What bad things did I do in my life to get punished this way? Here, in this cellar, 30 people are crowding each other. It gets dark at 2 o’clock. The night is long. Will the day ever come?” an unknown German lance-corporal wrote in his diary on December, 10. Most probably, the author of the journal did not survive. His notes were found by Soviet soldiers either in late December or early January. 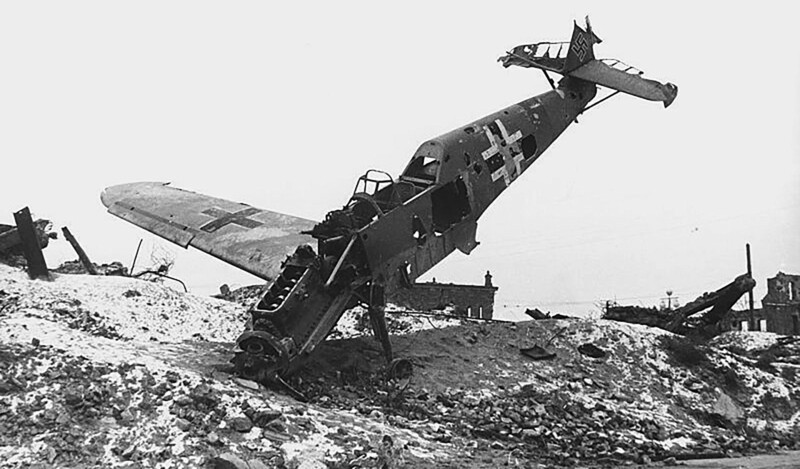 German troops did not expect the Soviet counteroffensive that started on November, 19. As a result, the Red Army managed to encircle the 6th German Army and units of its allies. More than 90,000 German soldiers were taken prisoner. Overall Germany and its satellites lost up to a million soldiers. 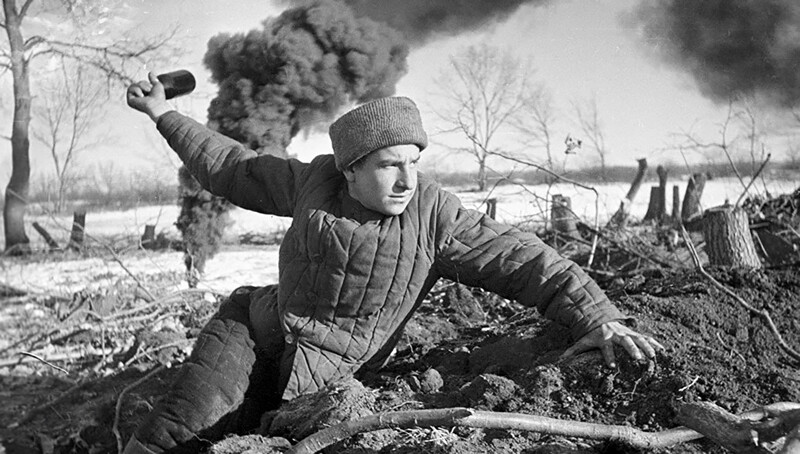 The Battle of Stalingrad became a turning point in the war against Nazi Germany.